Saints and Sinners, the popular casual dining hub of Gurgaon is set to make your weekend rocking with Lekka Collective onboard. 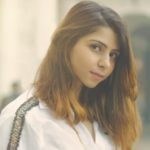 One of the Top 12 artists on South Asia’s biggest English singing show “The Stage, Season 3,” Lekka has recently produced her first original song as a part of an EP. She sings Pop/R&B/Pop Rock with a 4-5 piece band & acoustic. Theobroma’s Next Two Stops Are Going To Be In Delhi-NCR!